Looking back from 2018, we know that the First World War ended with an Allied victory in November 1918. However back then, as 1917 ended and the New Year dawned, the Allies saw their position as perhaps the worst it had been for a long time. The Germans, on the other hand, had a small window of opportunity where they might just be able to win the war. In the East the Russian Army had effectively been defeated, and the October Revolution had brought the Bolsheviks to power. One of their policies was a separate peace with Germany, regardless of whether the British and French agreed. An armistice was signed on the 15th December 1917 and negotiations for a peace treaty began. 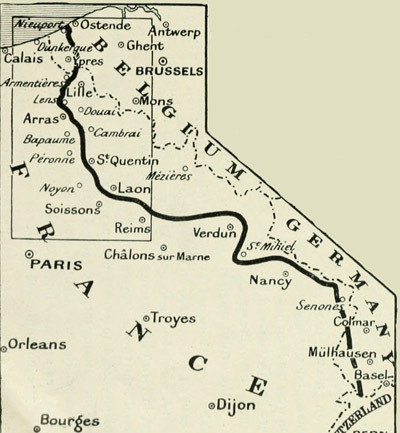 The end of the fighting freed up large numbers of German troops to face the British and French. Between November 1917 and March 1918 they transferred 44 Divisions to the Western Front, giving them a total of 192. The British and French could field 156. The United States had declared war on Germany in April, but the time needed to raise, train, equip and transport American forces to France meant that although the nation’s military potential was massive, a substantial American force would not be ready to fight until the middle of 1918. 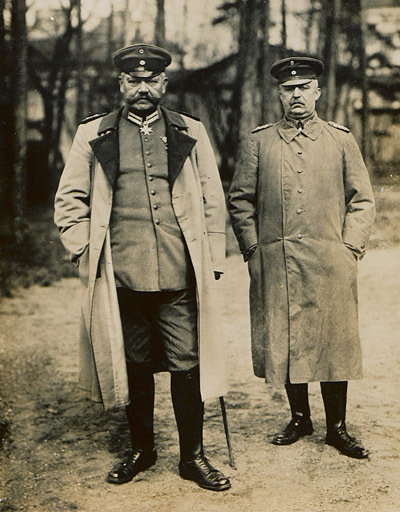 The commanders of the German Army, Paul von Hindenburg and Erich Ludendorff, recognised these factors. They had no desire to repeat the experiences of 1917, where the German Army had been on the defensive, facing attack after attack, losing ground and taking heavy casualties, but without the ability to dictate the pace of the war. At a meeting on the 11th November 1917 they decided on a high-stakes gamble: In early 1918 they would take advantage of their strength and launch an attack in the West, defeating the British and French before the Americans could arrive in numbers. For the Allies the winter of 1917 was a time to catch their breath and take stock. It had been a year of attacks. 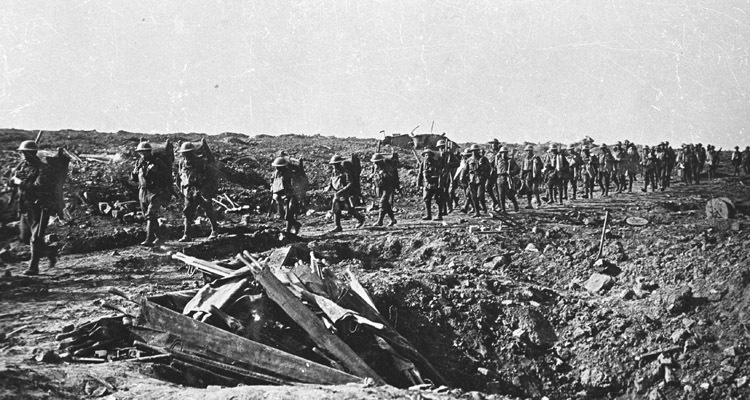 The fighting at Arras, the Aisne, Messines, Passchendaele and Cambrai had achieved results, and there had been a steady improvement in the Allied ability to force the Germans back, but they had taken heavy casualties for limited gains and both soldiers and commanders were exhausted. In addition during the summer of 1917 the French Army had been wracked with mutiny after the disastrous Nivelle Offensive. Although the French soldiers involved were willing to defend their positions, they refused to take part in further attacks. The effects were widespread and long-lasting, and rebuilding the morale of the Army took time. As 1918 dawned the French were still in no position to launch a large attack. For British soldiers in France the winter of 1917 was difficult. A shortage of manpower led to more work for everyone, especially as new defensive positions had to be constructed. The British were also tasked with taking over more of the front from the French, spreading what manpower there was even more thinly. In addition a number of units were broken up in order to strengthen the rest, affecting cohesion and morale. The British were also affected by a poor relationship between politicians and military commanders. The Prime Minister, David Lloyd-George, and senior officers such as Douglas Haig, the Commander of the British Expeditionary Force in France and William Robertson, the head of the Army, disagreed over strategy and mistrusted each other. Haig and Robertson believed the Western Front was the decisive theatre of war and resisted attempts to shift focus and forces to others such as Italy or Palestine. They also pressed for forces in Britain to be sent to France, but were overruled, exacerbating the manpower shortage. In contrast, Lloyd-George was an ‘Easterner’. He was horrified by the slaughter in France, and believed it would not lead to victory and that the focus should shift to other theatres. He was particularly opposed to Haig’s proposal for another attack at Ypres in early 1918, and refused to support it. There’s no question that Lloyd-George’s leadership and organisational skills played a major part in ensuring British victory in the First World War, but his actions during this period have been criticised by some historians as undermining the Army’s commanders. In attempts to promote the Eastern strategy he secured the removal of a number of Haig’s senior staff, and Robertson himself, but could not sack Haig. 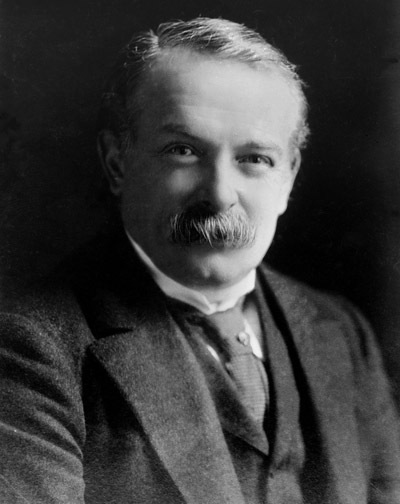 Lloyd-George supported the formation of the multinational Supreme War Council in the hopes that this command structure would side-line Haig in favour of Easterners. He also ordered forces sent to other theatres, for example 5 Divisions were sent to support Italy shortly before Cambrai, a battle where a shortage of reinforcements was a significant failing. The Italian collapse in late 1917 showed that Lloyd-George had a point. Poor coordination between the Allied powers was a major weakness in their strategy and a Supreme War Council would help. It certainly proved invaluable when the German attack came. All of this made it clear to British and French commanders that any prospect of a new attack in early 1918 was out of the question. Indeed the Supreme War Council decided to wait until 1919 to launch a new attack. Instead they would have to switch to the defensive and hope to defeat the German blow. They knew a German attack was coming, as intelligence had spotted the build-up of German forces in France, but where and when it would fall was never worked out. All the Allies could do was position their forces to cover their most vulnerable sectors and wait. The attack came on the 21st March 1918, and would see several firsts for the tank. We’ll look at them later on in this blog. Do not forget who it was that first used tanks effectively at Le Hamel, and then in the “Battle of Amiens” and advance to the Hindenburg line beyond the great bend of the Somme. http://www.monash4fieldmarshal.org.au/1918.php His effective life saving command tactics and the competence of those (including Tank Corps) soldiers and airmen under his command did win the war for the Allies. His heritage as a part time soldier of German Jewish heritage from the antipodes has meant his role is often diminished.